Poetry postie Sally Crabtree held workshops with pupils at Five Islands School on St Mary’s to show that poetry can be fun and doesn’t have to be boring. £1,500 was awarded to help with this initiative in Scilly and Cornwall. The Isles of Scilly Steamship Group has announced the return of its Community Fund with up to £30,000 available to support local projects and good causes on the Isles of Scilly and across Cornwall. The fund, which was launched in 2016 and is part of an estimated £1 million that the Steamship Group returns to the community every year through subsidised travel for islanders, NHS flights, sponsorships and charitable donations. 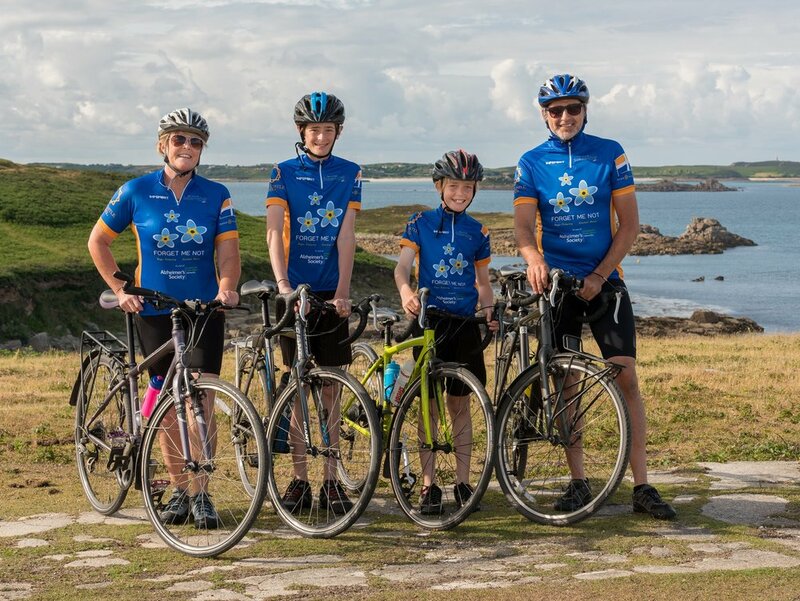 A total of £650 to support a Scilly family who cycled unsupported from John O’Groats to Land’s End in July 2016 – despite only having five miles of island road to practice on. Pictured here the Morel Family. Details of how to apply for this year’s fund will be announced in the very near future. A donation of £1,500 to Brownies and Guides on the Isles of Scilly, who went camping together for the first time in August 2016 thanks to the arrival of a huge marquee paid for by the Isles of Scilly Steamship Company. Bids to the Community Fund are open to voluntary groups or charities, schools and education establishments, community clubs or societies, and individuals undertaking not-for-profit projects for the benefit of the wider community. The Fund originally operated in the islands and West Cornwall only, but will be extended to cover all of Cornwall this year. Full details, eligibility criteria and application forms will soon be available from the Steamship Group’s website. All projects are judged by members of an independent panel.